I’ve been on a chicken kick lately, partly because I know everyone in the house likes chicken, partly because I’ve been seeing so many great recipes on Pinterest. In recent weeks, I’ve had really good luck with Cheesy Ranch Chicken and Garlic Brown Sugar Chicken (below). 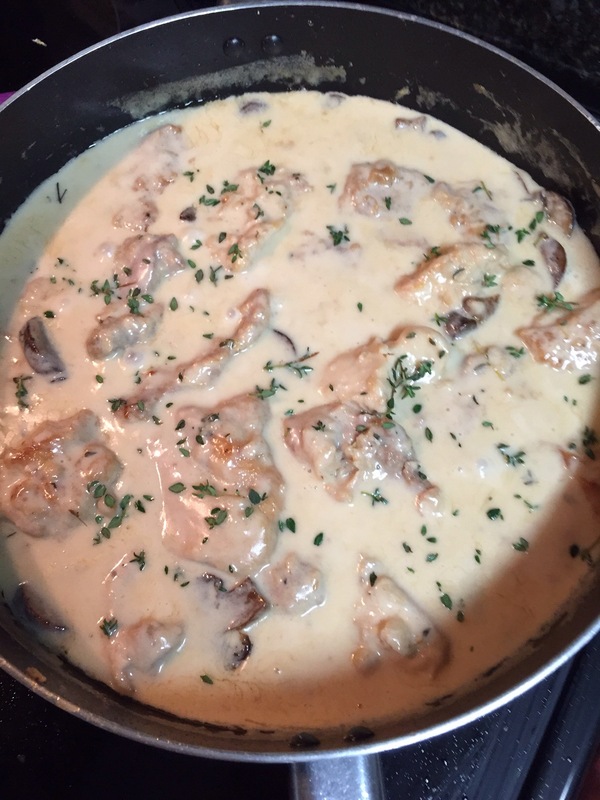 And tonight’s chicken du jour was Mushroom Asiago Chicken (above, in white wine stage). What I like best about them is that each one is unique and all are easy to make. The Cheesy Ranch Chicken only has three ingredients aside from the chicken – ranch dressing, parmesan cheese and cheddar cheese. Coat boneless chicken pieces with ranch dressing, then top with mixed cheeses and bake. It’s that easy — and delicious. This one is daughter’s favorite, although she said she likes them all. 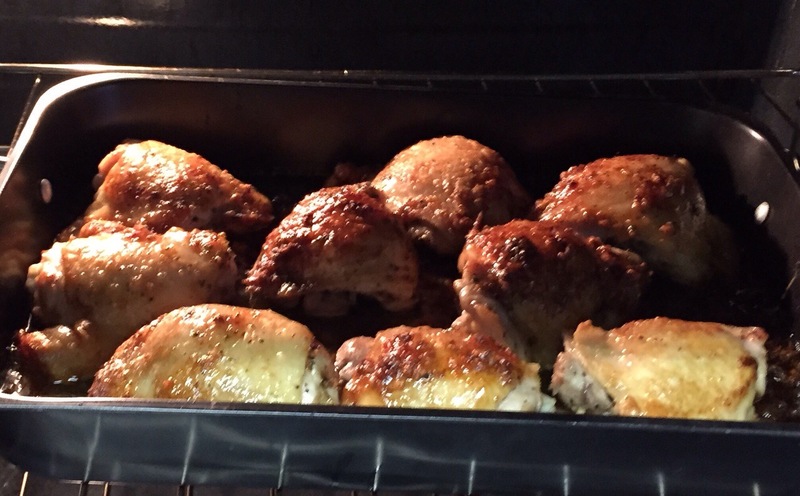 The Garlic Brown Sugar Chicken (above) is husband’s and my favorite. This recipe calls for using bone-in chicken thighs, which I did, although you could probably use boneless chicken, too. First you sear the chicken, then bake it in an absolutely to-die-for concoction that includes garlic, brown sugar, honey and other spices. Oh, and it smells as yummy as it tastes! If you’re looking for an easy chicken recipe that the whole family will like, any of these three should do the trick. Pair them with pasta or mashed potatoes, add some fruits and vegetables, and everyone’s palette should be satisfied. Now, back to my Pinterest boards! 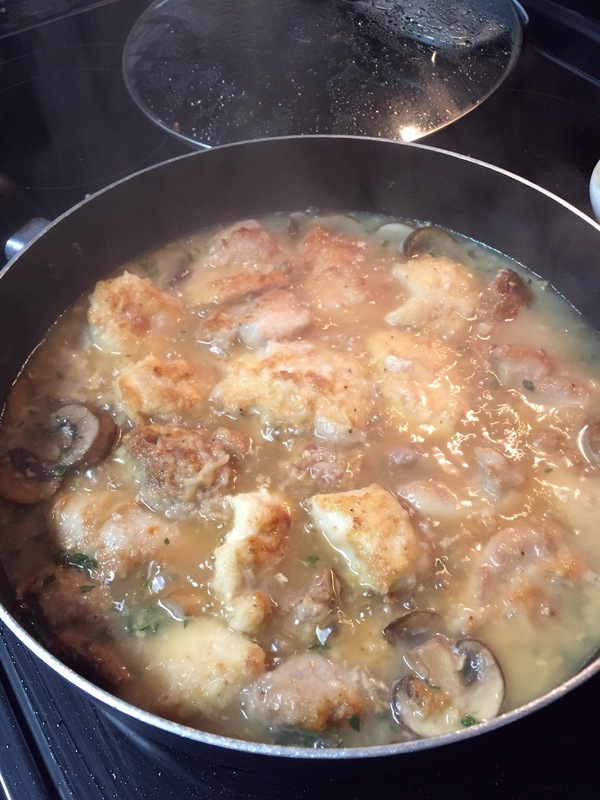 This entry was posted in Food and tagged cheese, chicken, wine on January 18, 2015 by Julie Riebe.